Uh oh! 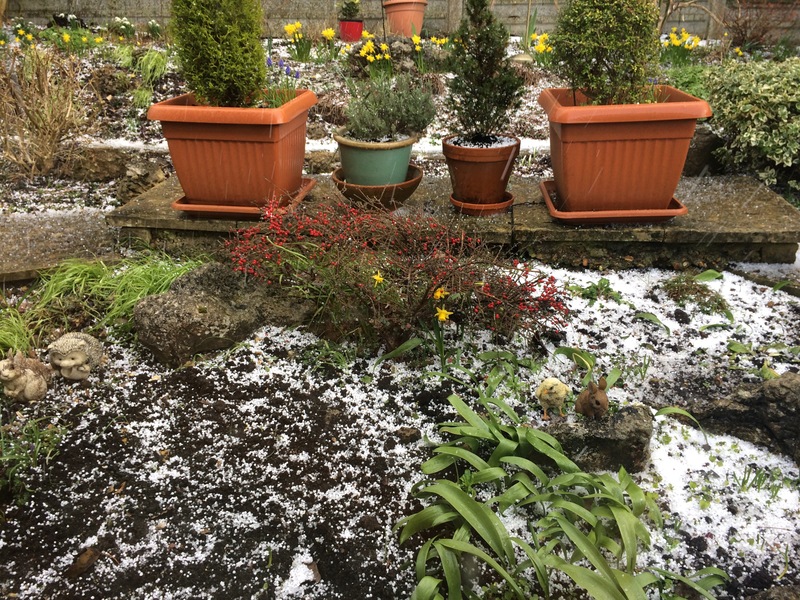 What an onslaught of hail- totally unexpected! I am planning on planting seeds straight into the garden in the next few weeks. Now I am a bit nervous. The ‘protective mother’ side of me comes out whenever I see predators eyeing up my young plants. Worse still when the Elements decide to be non conducive for my plants. Can you imagine the damage that hail would have caused the tiny delicate shoots? How heartbreaking that would have been!! Sadly I don’t have the space for a green house or a poly tunnel. My garden really Is little! Before children I set up space in my conservatory to start off seedlings. But that would now be too tempting for destruction by my toddler… Protective netting may help? Keeping a close eye on the forecast and biting the bullet when it all seems fine is the only thing I can do! the best pics ever …..